hopefully we will keep news posted regularly to keep up with the progress. 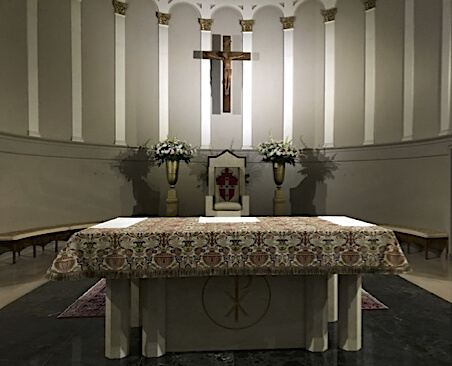 The present Altar and chairs will be given to Holy Spirit Parish in Mustang, Oklahoma for their new church. The one exception to this is the Archbishop’s chair which will go to the Archdiocese. This month has been mostly about trying to secure the costs of the project with regards to furniture and fixtures. Also, the cost of removal and cleaning of the Pipe Organ has been secured. It will be removed, cleaned and brought back at the end of the project. The contractor has been securing the scaffolding, which will go up at the very end of May. There are many moving parts to this endeavor. Check back and more will be written about the renovations. Keep this in your prayers!